Sunset Beach Club is a 4-star holiday resort situated on the beachfront in the beautiful town Benalmadena in Costa del Sol, Southern Spain. If you want to wake up in paradise, then this is the place since the gorgeous beach is just a 1-minute walk from the hotel. Sunset Beach Club offers incomparable 4-star services and facilities including a wide range of restaurants and bars, entertainment activities and luxurious accommodation facilities. The hotel has two large outdoor swimming pools set in landscaped terraces, entertainment shows, fun and creative activities such as archery and pistol shooting, and a range of enjoyable activities for children including paddle pool, adventure area and play area. The hotel’s main Oasis Restaurant serves hot buffet breakfast giving a perfect start of the day. When guests are feeling peckish, there is a lunch and dinner menu at the a la carte restaurants, plus three seasonal bars to choose from at the resort. There is also an on-site supermarket if you want to grab and go. Free Wi-Fi is available throughout the hotel. 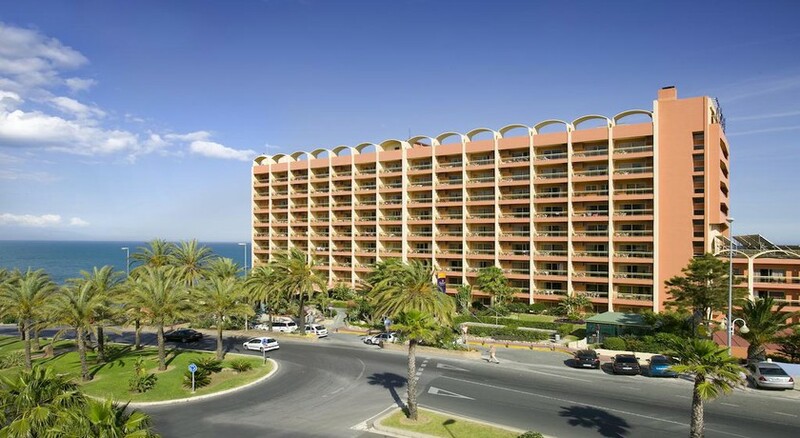 The hotel is located on the beachfront of Benalmádena in Costa del Sol, Andalucia, Spain. The Malaga International Airport is the closest to the resort at a distance of 11km, and can be reached in 20 minutes. Once you reach your destination, you won’t have far to go until you see the sea, with the golden beach right opposite to the hotel, which can be reached in just a few seconds. Sunset Beach Club offers One Bedroom Apartments, Two Bedroom Apartments, Honeymoon Suites, Deluxe Junior Suites and Studios. The Standard One or Two Bedroom Apartments with sea view/mountain view or no view, Deluxe Junior Suites with sea view, Honeymoon suites and studios also give sea views. 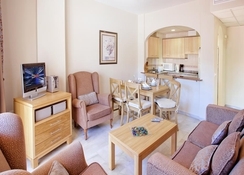 All apartments are spacious and can accommodate up to four persons. There are only a few rooms that cater to five to six persons. Each apartment has a lounge with sofa beds, dining area, kitchen equipped with oven, microwave and kettle, fully-equipped bathroom and a furnished balcony. 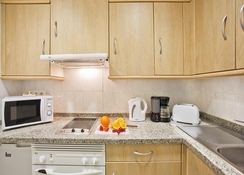 All apartments are air-conditioned and also have heating facility. Room facilities include satellite TV, telephone, safe (surcharge) and free Wi-Fi in the rooms. 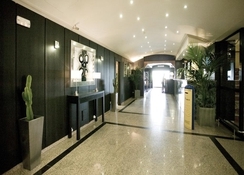 The hotel’s main restaurant, Oasis Restaurant, Bar and Terrace, serves breakfast, lunch and dinner. Daily dining services start with a hot buffet breakfast followed by an a la carte menu for lunch and dinner. This restaurant also serves hot and cold drinks all day and also offers a take-away service if you want a sophisticated picnic by the pool. Birthday celebration services are also provided here if you’re visiting for a special occasion! Various snacks and light bites are also served, and breakfast vouchers can be purchased on arrival at the hotel for those who go for self-catering basis. In addition, there is a seasonal restaurant (from spring to autumn) called Luna Beach Bar, which offers modern menus, drinks and cocktails. The poolside bar namely Tikki Pool Bar serves hot and cold snacks and drinks in the afternoon. A flat-screen TV and stunning views of the sea can be enjoyed at the Panorama Bar, which is open throughout the year. Sunset Beach Club provides a broad range of fun and exciting activities for all ages. The hotel has two large swimming pools set in the landscaped terraces. During winter months (March to November) guests can enjoy power walking, darts, aerobics, petanque and cookery classes. Many sports facilities such as table tennis, football, pool tables, darts, billiards, archery, pistol shooting are offered at the hotel. A gaming room and a mini-bowling area are also available. The Panorama Bar at the hotel offers golfing and has large flat-screen TVs providing live coverage of International Sports events such as rugby, darts, golf, motor racing and many more. Guests can also use the local gym facility at the Sunset Beach Club Hotel with an extra charge. For children, there is a paddling pool, a play area and an adventure climbing area where they can indulge in fun and exciting activities. Guests get the opportunity to relax on the beach and also enjoy water sports such as Scuba Diving and snorkelling. During spring and autumn, golf lovers get the opportunity to spend time on golf course situated within 2 miles from the hotel.